Maj. Andrei Durnovtsev, a Soviet air force pilot and commander of a Tu-95 Bear bomber, holds a dubious honor in the history of the Cold War. Durnovtsev flew the aircraft that dropped the most powerful nuclear bomb ever. 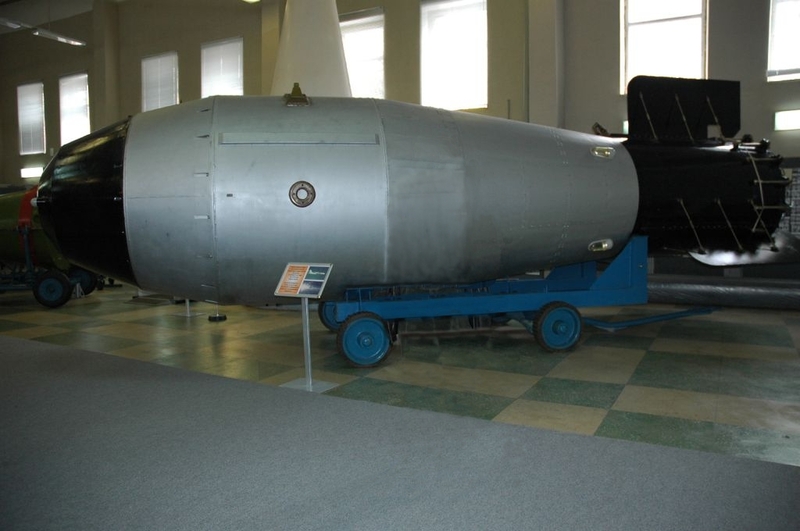 It had an explosive force of 50 megatons, or more than 3,000 times more powerful than the Hiroshima weapon. Over the years, historians identified many names for the test bomb. Andrei Sakharov, one of the physicists who helped design it, simply called it “the Big Bomb.” Soviet Premier Nikita Khrushchev called it “Kuzka’s mother,” a reference to an old Russian saying that means you are about to teach someone a harsh, unforgettable lesson. On Oct. 30, 1961, Durnovtsev and his crew took off from an airfield on the Kola Peninsula and headed to the Soviet nuclear test area above the Arctic Circle at Mityushikha Bay, located in the Novaya Zemlya archipelago. The test project’s scientists painted the Bear bomber and its Tu-16 Badger chase plane white to limit heat damage from the bomb’s thermal pulse. That’s at least what the scientists hoped the paint would do. The bomb also had a parachute to slow its drop, giving both planes time to fly about 30 miles from ground zero before the nuke detonated. This gave Durnovtsev and his comrades a chance to escape. When the planes reached their destination at the predetermined altitude of 34,000 feet, he ordered the bomb dropped. The chute opened, and the bomb started its three-minute descent to its detonation altitude two-and-a-half miles above the earth. Durnovtsev pushed the throttles to the max. The five-mile wide fireball reached as high in the sky as the Bear bomber. The shock wave caused the Bear to drop more than half a mile in altitude before Durnovtsev regained control of his aircraft. The blast broke windows more than 500 miles away. Witnesses saw the flash through heavy cloud cover more than 600 miles from the blast site. Its mushroom cloud boiled up into the atmosphere until it was 45 miles above ground zero—essentially, on the lower boundaries of space. The top of the mushroom cloud spread out until it was 60 miles wide. The nuke’s thermal pulse burned the paint off of both planes. And that was small compared to the Soviets’ original plan. The designers originally intended the bomb to have a 100-megaton yield. They used a three-stage Teller-Ulam lithium dry-fuel configuration—similar to the thermonuclear device first demonstrated by the United States during the Castle Bravo shot. Concerns about fallout prompted Russian scientists to use lead tampers that dialed down the yield to half of the bomb’s capabilities. Interestingly enough, Tsar Bomba was one of the “cleanest” nuclear weapons ever detonated, because the bomb’s design eliminated 97 percent of the possible fallout. Even its size was monstrous. It was 26 feet long, about seven feet in diameter and weighed more than 60,000 pounds—so large it couldn’t even fit inside of the bomb bay of the modified Bear bomber used to drop it. The Tsar Bomba was so big, it’s doubtful whether it could ever have been a practical weapon delivered by a Soviet bomber. 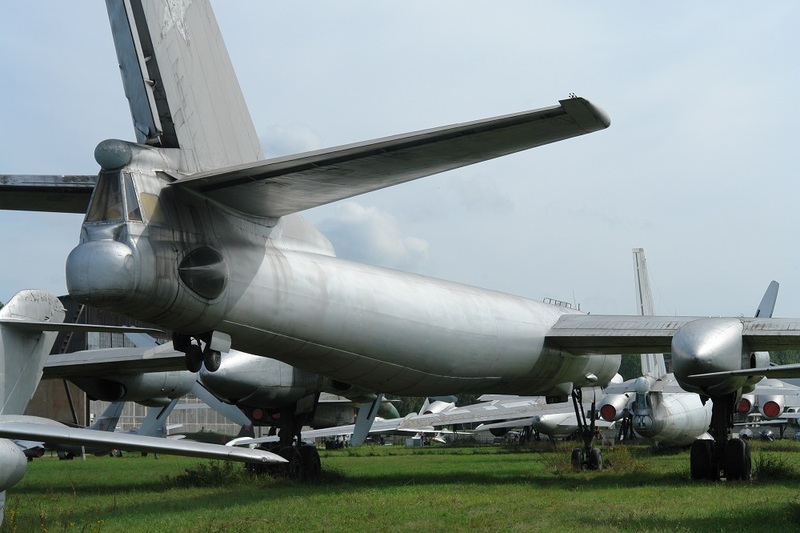 Because of the distance from the Soviet Union to America, removal of the fuselage fuel tanks to accommodate the bomb—combined with its sheer weight—meant that a Bear bomber wouldn’t have sufficient fuel for the mission even with aerial refueling. However, the CIA investigated whether the Soviets planned to place similar warheads on super-powerful intercontinental ballistic missiles that would target American cities. The reason was accuracy. Or rather, the lack thereof. Because of the NATO alliance’s nuclear advantages, the U.S. could place bombers and intermediate range ballistic missiles fairly close to Soviet targets in Eastern Europe. By the late 1950s and early 1960s, the U.S. placed intermediate-range ballistic missiles such as the Thor in the United Kingdom and Turkey, and Honest John and Matador missiles in West Germany. The shorter flight distance for those missiles meant they had a better chance of delivering their nuclear warheads effectively on target. Consider the damage a 100-megaton version of the Tsar Bomba could inflict on Los Angeles—say, if detonated directly above the U.S. Bank Tower, the tallest building west of the Mississippi River. On a clear day, an airburst at 14,000 feet above ground level would produce a nuclear fireball two miles wide that would be hotter than the surface of the sun, reducing concrete and steel skyscrapers to ashes. Within five miles of ground zero, everyone not killed by the blast and heat would receive a lethal dose of 500 rems of high-energy radiation. Up to 20 miles away from the detonation, the blast wave would gut every building—even concrete and steel reinforced buildings. Up to 50 miles away, anyone exposed to the flash of the weapon would receive third-degree burns. In short, a Tsar Bomba warhead would completely devastate the entire Los Angeles metropolitan area. In 1963, Khrushchev said the Soviet Union possessed a 100-megaton bomb that it deployed to East Germany. But the premier’s claim has divided historians on whether it was true, or was just boasting. As for Sakharov, his experience building and testing Tsar Bomba changed his life, prompting him to abandon weapons research. He became an outspoken critic of Soviet efforts to create an anti-ballistic missile defense system, an advocate for civil rights in the Soviet Union and much-persecuted political dissident who won the Nobel Peace Prize in 1975. And Durnovtsev? Immediately after successfully dropping Tsar Bomba, the Soviet air force promoted him to the rank of lieutenant colonel. In addition, he received the Hero of the Soviet Union award, the highest honor bestowed for service to the Soviet state. This article originally appeared on April 1, 2015.